Shane Spritzer is a Registered Dietitian working at Presbyterian/St. Luke’s & Rocky Mountain Hospital for children as well as Rose Medical Center. He completed both his undergraduate degree and dietetic internship through Metropolitan State University of Denver, and his Masters of Public Health in Maternal & Child Health from Colorado School of Public Health. His free time is usually spent cooking, listening to a podcast, watching TV, or seeing a show at the Denver Center for the Performing Arts. This is his third year on the board of directors, and he is excited to help strengthen Denver’s dietetic community. Kristina is a Registered Dietitian working at University of Colorado Hospital, specifically with solid organ transplant. After obtaining her undergraduate degree in Dietetics from the University of Georgia in 2012, she moved out to Colorado for the Master’s in Sports Nutrition program at UCCS. While finishing graduate school, she matched to Children’s Hospital Colorado and completed the adult concentration dietetic internship in 2015. Along with clinical nutrition, she enjoys teaching barre fitness classes at Xtend Barre in Highlands Ranch. She also volunteers her time with the Colorado Society of Parenteral and Enteral Nutrition and Slow Food Denver. This is her 3rd year on the board with DDA and she loves being involved in the dietetics community! In her free time she enjoys hiking, skiing, running and enjoying the beautiful Colorado outdoors. Cayla Jablonski is finishing up her last semester at Metropolitan State University in the DPD program with the intention of doing a Dietetic Internship in the Spring. She also serves as Treasurer for the Auraria Campus Student Dietetics Association. Helping people eat healthy as well as affordably is her passion and gets to promote that by volunteering at Food for Thought and Metro Caring throughout the week. Until she can call herself a RDN, Cayla works at Wells Fargo Energy Group where she gets to practice her first degree in finance. When school and work are done, she loves playing intramural sports and spends as much time outside with her boyfriend and girl golden retriever, Carter. Greta is a registered dietitian with Tri-County Health Department's WIC program. Her work includes integrating WIC services with Medicaid providers, outreach to community organizations and working with medical offices to screen patients for food insecurity and provide referrals to community resources. As Public Policy Chair, Greta hopes to make advocacy more accessible for DDA members and encourage dietitians of all practices and experience to be active in local and national politics that affect the public’s access to nutritious foods and healthcare. Jessica is the president-elect for the Denver Dietetic Association for the 2018-19 year. This is her third year on the DDA board, previously serving as secretary. Jessica is a registered dietitian with a passion for the field of nutrition. Jessica received her Bachelors of Science in Dietetics from Brigham Young University. She completed an internship in Colorado, and was able to gain a wide array of experiences throughout the state. Her experiences included working at Littleton Adventist Hospital, University of Colorado dining services, Boulder Valley School District dining services, University of Colorado Diabetes Clinic, Jefferson County Health Department and WIC, as well as working at multiple assisted living and skilled nursing facilities. After completing her internship, Jessica became a registered dietitian in 2014. She further continued her knowledge and dietetics education by earning a Master of Science Degree in Applied Nutrition from Sage Colleges, graduating with honors. Jessica is always looking for ways to serve others throughout the community. She has put on community etiquette dinners, taught classes on nutrition and MyPlate, and is a merit badge counselor for the cooking merit badge for Boy Scouts of America. Jessica has lived in Colorado for most of her life and enjoys spending time outside with her family and dog. She loves music, and plays the piano, organ and harp. Christine Caruso is a Human Nutrition & Dietetics major at MSU Denver, graduating in May 2018. An avid cook since she was a teenager, she’s enjoyed sharing food and the health benefits of cooking and sharing meals with others for most of her life. Upon moving to Denver two years ago, she decided to make a career change, and pursue Nutrition to find a way to share the power of food with others. As the Coordinator for the Denver based co-op Walk2Connect, she organizes and leads food-focused walks, to educate her community on food and wellness. She also serves on the Board of the Auraria Campus Student Dietetics Association, where she enjoys connecting students to each other and to the world of Nutrition. After graduation, she looks forward to becoming a Registered Dietitian, and continuing to bring health and wellness to her neighbors in Denver. Julie Morse is a senior in the Culinary Nutrition program at Johnson & Wales University with the goal of becoming a registered dietician and working with cancer patients. She volunteers at Brent’s Place cooking nutritious meals for the families of children with cancer. She enjoys the process of preparing the menus meeting the nutritional guidelines, such as gluten free and food allergies, provided to her by the staff at Brent’s Place. Metropolitan State University of Denver Student Rep.
Gerri is a senior at Metropolitan State University of Denver. This is her first year as a board member and she is looking forward to connecting with professionals in the field of nutrition as well as being a liaison to her fellow students. Gerri enjoys cooking, hiking, and photography. Dana is a newly Registered Dietitian at InnovAge. She graduated with her Bachelors of Science in Nutrition from the University of Colorado Colorado Springs in May 2015. One year later, June 2016, she completed her dietetic internship at UCCS. In her free time she enjoys lifting weights, trying new, one of a kind restaurants, cooking, running, hiking, going to concerts & yoga. She is thrilled to a part of the DDA Board of Directors and help spread her passion for food and nutrition. Katie was born and raised in Colorado. 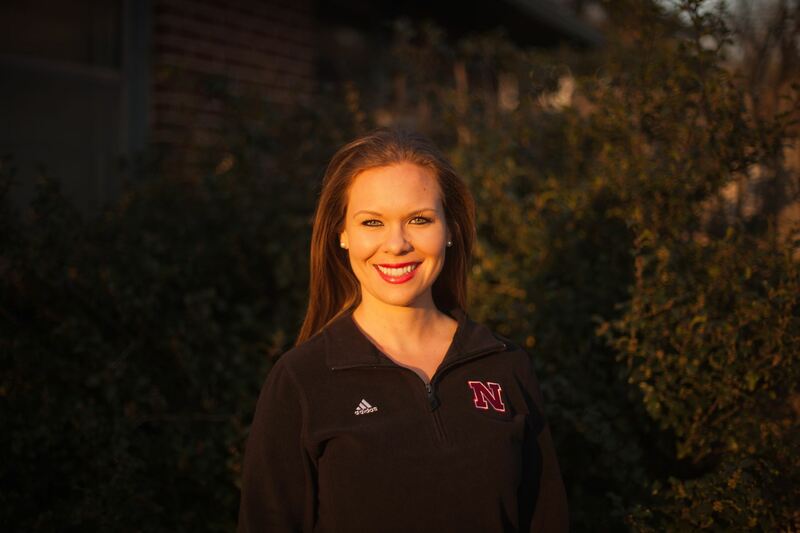 She attended the University of Nebraska-Lincoln where she obtained both her undergraduate and graduate degrees in Nutrition and Health Sciences. During this time, Katie also achieved a minor in Business Administration and a certificate in Transdisciplinary Childhood Obesity Prevention. Katie completed her Dietetic Internship at Tri-County Health Department and now works as a Clinical Dietitian at The Medical Center of Aurora. In her free time, she enjoys skiing, hiking, gardening, and traveling. This is her first year on the board of directors and she is looking forward to advancing the practice of dietetics throughout the Denver Metro area. James was born in Oakland, California and grew up in the San Francisco Bay area. He attended UC Davis and while earning a B.S. in Clinical Nutrition and completed his Dietetic Internship at Cal Poly Pomona. 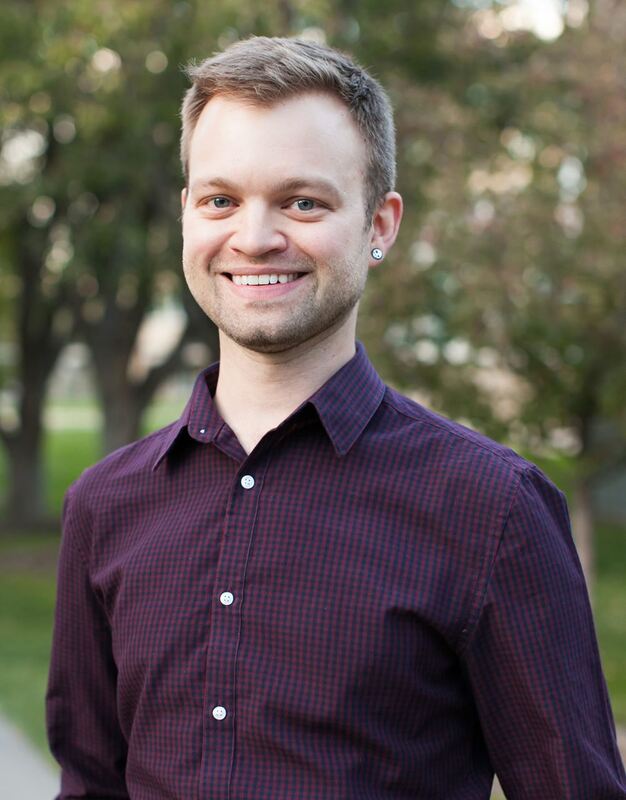 As a Registered Dietitian, James has worked clinically in an acute setting and in long-term care for about two years. James is currently attending CU Denver to earn his MBA. After finding his passion in nutrition, health care and management, it became apparent that a MBA would provide him with the appropriate credentials to make a larger impact. He is currently interested in becoming a hospital administrator and starting a Registered Dietitian consulting company. He spends most of his time exercising, reading and socializing with others. He also enjoys traveling to explore new places and experiencing new adventures. Moving to Colorado has made him very excited for the ski/snowboard season! Sara completed her internship at Tri-County Health Department and works as a Clinical Dietitian at Rose Medical Center. She enjoys clinical nutrition because there is always something new to learn. Her favorite part of her job is precepting interns and seeing the progress they make each day. Her goal is to pursue a Master's degree in Food Science and Human Nutrition at CSU and teach undergraduate nutrition classes. Sara offers freelance writing and editing services for nutrition-based companies and private practice dietitians. She is from Milwaukee, Wisconsin and loves the sun and snow in Colorado. You can contact her at:sarascheler@hotmail.com. Nicole holds a B.S. in Human Nutrition and dietetics, as well as a B.A. in Journalism/Public Relations and a minor in Marketing from Metropolitan State University of Denver where she is also currently completing her dietetic internship through its ISPP program. Nicole's passion for nutrition and the benefits it has on our overall health stems from 15+ years of personal health concerns, research and cooking. After being pregnant and having two little ones, her nutrition focus shifted greatly toward prenatal, maternal and child nutrition confirming even further that working and helping others in the nutrition field is where she needed to be. Nicole also works as a freelance photographer and writer and has had work published in Colorado Parent Magazine, Catholic Register Newspaper and on the Chris Harris Jr. Foundation website. You can view her photography work here. Stephanie graduated from Metropolitan State University of Denver in May of 2018 with her B.S. in Nutrition and Dietetics. Stephanie started her internship with MSU Denver’s ISPP program in August. She enjoys volunteering and hiking with her family in her spare time, she volunteers with Colorado Feeding Kids, Open Door Ministries and We Don’t Waste. She was previously in banking for 12 years and then decided to go back to school to pursue her passion, helping people through nutrition. After she completes her internship and passes the RDN she plans on working in a clinical setting, preferably outpatient counseling.